Um, nice to see how much spare time you have on your hands!! LOL!! Of course this would make for a great class assignment/lesson. Great test! You should put in under tutorials. We have just added your latest post "Two On Two Off: Researching Waterproofing Options" to our Directory of Science . You can check the inclusion of the post here . We are delighted to invite you to submit all your future posts to the directory and get a huge base of visitors to your website. Very helpful! I made my own tent (http://customsewingbyamyj.blogspot.com/2009/06/bilgy-update.html), but have not yet sealed the seams. The information about the products was helpful, but I really appreciate the thouroughness of the testing process. Not being Type A myself, I wouldn't have thought to check things this carefully! Good job! Hmmm. Interesting. 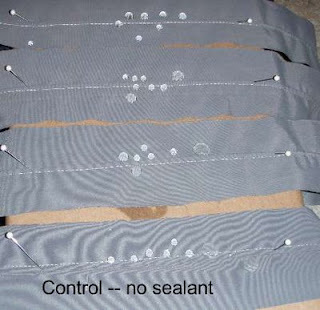 I want to make a trench and sealing the seams never occurred to me. Thanks. I recently finished a Gortex jacket. 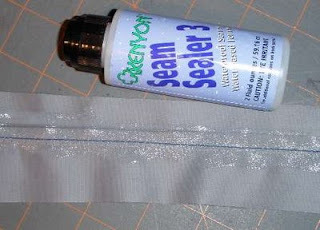 I ended up using Seam Sealer 3 because it was most available and only a few dollars a bottle. 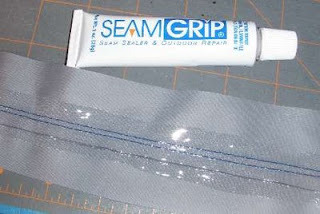 I found the iron-on seam sealant expensive-per yard whereas I still have most of the Seam Sealer 3 available for another project. But that was for my locale. What price difference did you find? . Info not needed in my climate but enjoyed the experiment anyway. Although our rain is warmer here in Florida, we get tons of it. Your post was really helpful. Thank you. Great experiment. I've starred this post for later. I am just about to start making a trench out of water proof fabric - will be lucky to be able to source even one of your products, but if I have a choice, now I know. Thanks for the detailed post! Great info, thanks. I hope you and your family are OK after the earthquake today! This is awesome info! Thanks science teacher!! I am buying some outer material for ski/snow wear next winter and this info will be useful! Thanks! I do love experiments, but I have no patience for them, so this was very informative. Oh, I wish you had done this experiment before I did my raincoat. Great idea! I used tape allover and it was a pain in the but to use where the seams are curved. 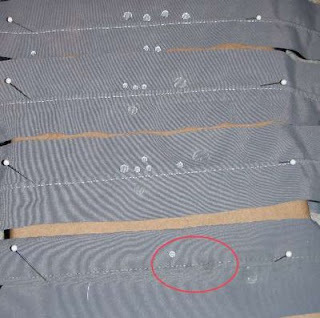 Plus the tape needed more heat than the fabric could stand to properly seal, so it was a scary undertaking. 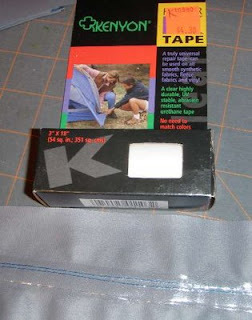 Tape for straight seams and a glue for the rest would be my conclusion after my first waterproof project. Thank you for this! Coming in late via a google search. Bought a raincoat I love but it leaks a teeny bit at the shoulder seams, despite them being taped on the inside. 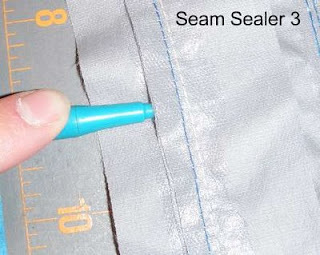 I'll have to find the Seam Sealer 3 and give it a whirl. Thanks for sharing your ideas on waterproofing. This is a great help to me and to others. How about basement waterproofing systems? 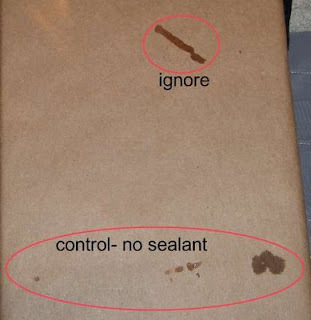 Does this water proofing method really lasts a long period of time? Interesting post. I'm interested to keep up with your blog and see what other fascinating information you post about. Leak were very common to some tanks and other water container things, it is because of the soft foundation and materials used while it was still made. they never follow such basement waterproofing systems. It is very important to follow proper procedures in order to have a perfect output. Your tests are very helpful...and thorough thank you. 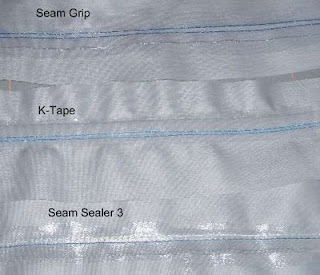 I want to use a sealer in snack bags that I make using a laminated cotton on the outside and a waterproof diaper liner inside. 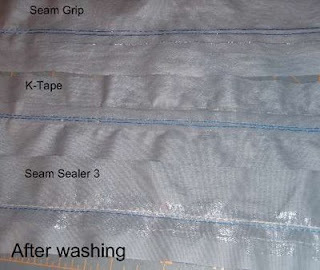 The problem is the cotton is getting wet due to liquids seeping through the stitching. Do you think 'seam grip' would be suitable sealer for this project, bearing in mind food is involved here? I look forward to your feedback. This article is a great idea - so informative and user friendly! My husband and I, after buying our first home last summer, realized that there is a lot of maintenance that goes into it. And that that this maintenance is very important! basement waterproofing was one of the first things that my husband and I did when Spring came around and the ground started defrosting. If you take care of your basement waterproofing first thing, it can save you a lot of frustration and a lot of money down the road.